Rapid Imaging Software, Inc. specializes in augmented realty. Their software is used in manned and unmanned ISR missions, wildlife research, and airport obstacle management. Rapid Imaging has been in business since 1995 and is located in Albuquerque, NM. The company specializes in augmented reality that enhances real world view for the user. Rapid Imaging applications blend 3D map data with video, giving the sensor operators complete information from the field of operation. 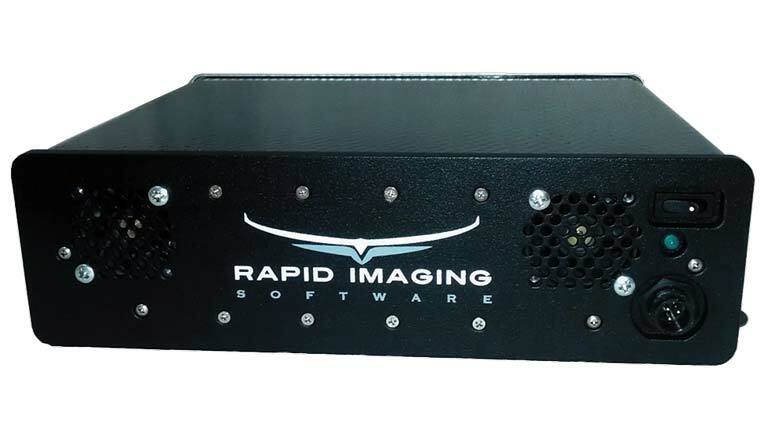 Rapid Imaging chose to partner with Crystal Group to provide a small, form factor server capable of meeting the technical requirements of augmented reality while offering the manufacturing expertise and customer responsiveness. Device reliability eliminates business interruptions. Rapid Imaging Software, Inc. (RIS) designed the LandForm+ mission management system for flight officers and sensor operators conducting a variety of operations. LandForm+ improves situational awareness and mission effectiveness for the following: law enforcement, search and rescue, border patrol, wild land fire management, disaster relief, and more. Rapid Imaging private labeled the Crystal Group RE0412 Rugged Embedded Computer for the LandForm+ mission management system. The LandForm+ is designed so the tactical flight operator can conduct an entire action without looking away from the screen. LandForm+ is a complete solution for aerial surveillance, plus five essential functions for improved sensor operator performance with clear, detailed info relayed to teams in the field. 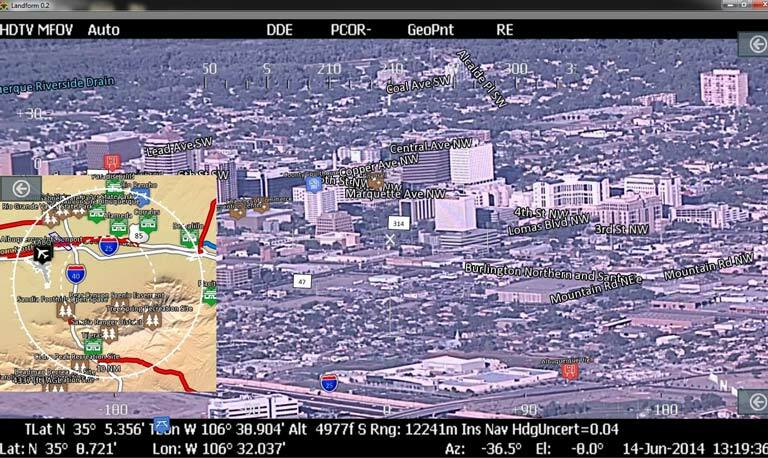 LandForm+ improves all-around situational awareness for tactical flight operators and easily allows the operator to switch between EO and IR (Electro-Optical/Infrared), to zoom in and out, and to geo-point the camera. For the LandForm+, the Crystal RE0412 was chosen and is delivered pre-loaded with image software and map data to Rapid Imaging. Landform+ shown with icons and moving map. The LandForm+ system is designed for use in aircraft; space and weight were big considerations for Rapid Imaging Software. During development, the engineering team selected the Crystal RE0412 Rugged Embedded Computer as the best option to deliver required performance. Our customers operate in challenging airborne conditions, we needed hardware that would integrate easily and operate reliably and Crystal had the solution. Crystal loads the software image and map data on the RE0412 and the hardware integrates seamlessly with new or existing surveillance systems. Crystal Group Inc., an employee-owned small business located in Hiawatha, Iowa, USA, designs and manufactures installation-ready, rugged servers, displays, networking devices, embedded systems, and storage devices that fit mission critical and industrial applications. Crystal Group’s industrial servers are powerful solutions ready for future expansion whether it’s for a more versatile software application, harsh environment, or demanding performance standard.